We've all come across articles we disagree with from time to time but some are just so inaccurate that the unwary public needs to be warned against them. Elisabetta Marino's article "Constructing the Other: Reconstructing Herself" - A Journey Through the Crimea to Constantinople by Lady Elizabeth Craven" in the book The West in Asia and Asia in the West: Essays on Transnational Interactions, edited by herself and Tanfer Emin Tunc (1) is one of these. It is very inaccurate indeed. The blurb claims, "This collection of new essays examines the “transnational turn” in cultural studies between Asia and the West. Drawing on literature, history, culture, film and media studies, scholars from a range of disciplines explore the constructs of “Asia” and “the West” and their cultural collision." Hmmm. Well, most of the collision I can find is with the facts. 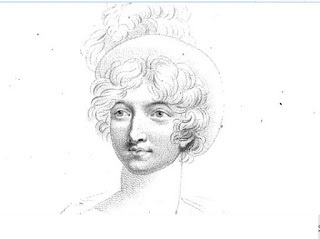 There can be no doubt that Jane Austen was influenced in many ways by the writings of Elizabeth Craven, the Georgian feminist writer who was her predecessor. The Austen and Craven families were distantly related, and that, added to Craven's notoriety, would have provided ample reason for Jane Austen to read Craven's books. 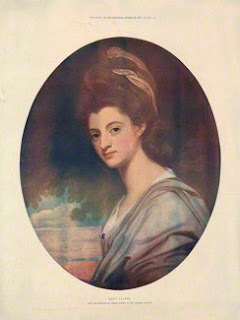 In my book Elizabeth Craven: Writer, Feminist and European, I have already pointed out the resemblance between a famous scene in Mansfield Park, and a passage in Craven's book Letters to Her Son. On the topic of marriage, Craven writes that women have the same instinctive urge to be free that men have, and whenever she has found herself in a confined garden, with a barrier all around it, her imagination has started to run on ways of crossing the barrier and escaping.